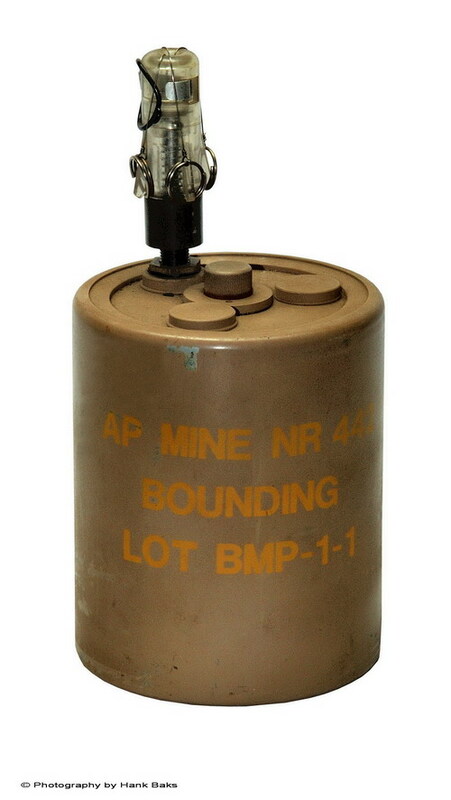 This mine functions exactly like the WW2 german S-Mine44. 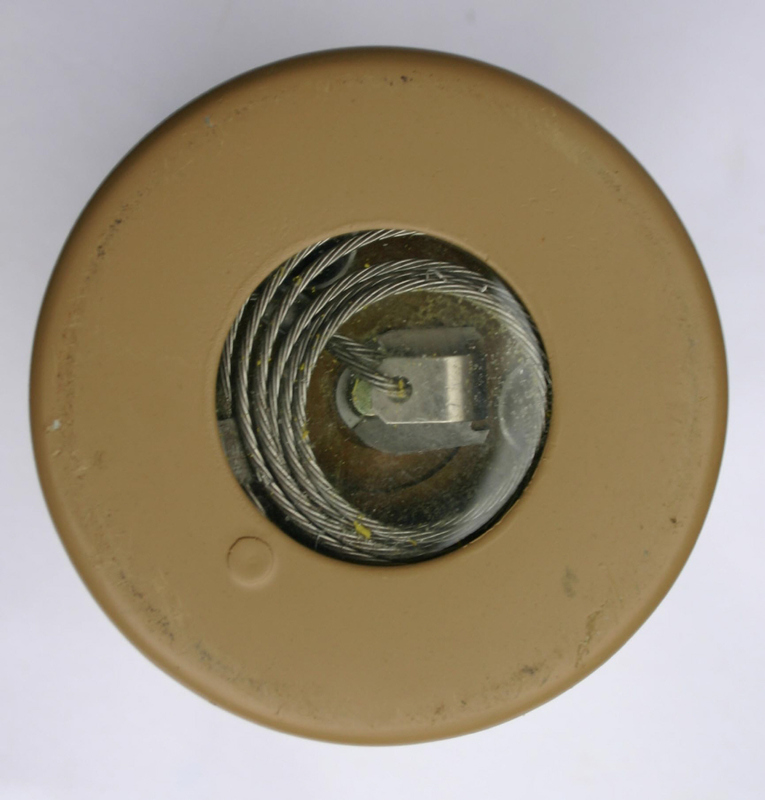 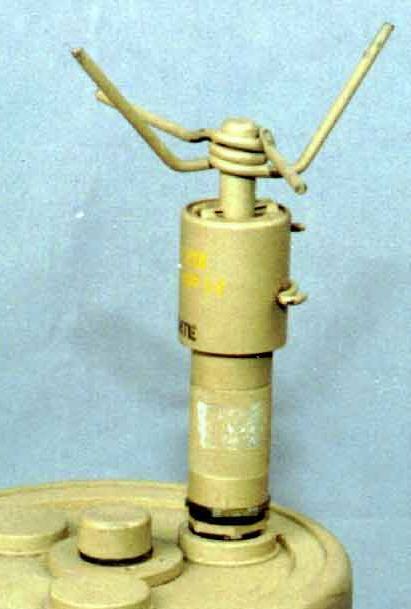 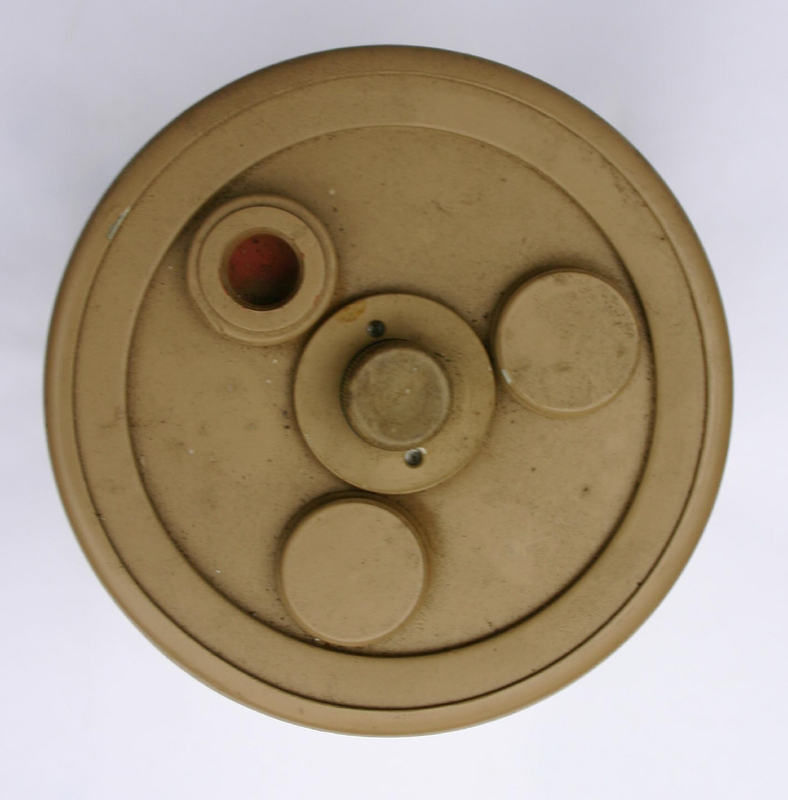 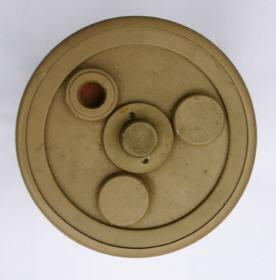 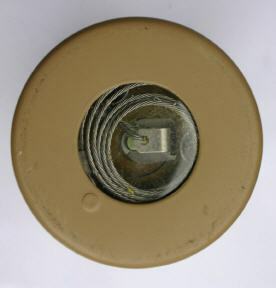 Height: 245mm , diameter: 105mm. 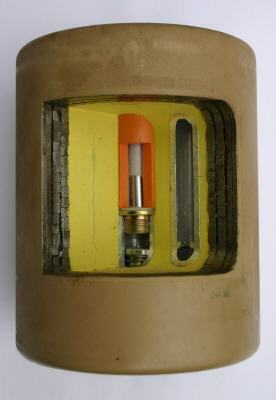 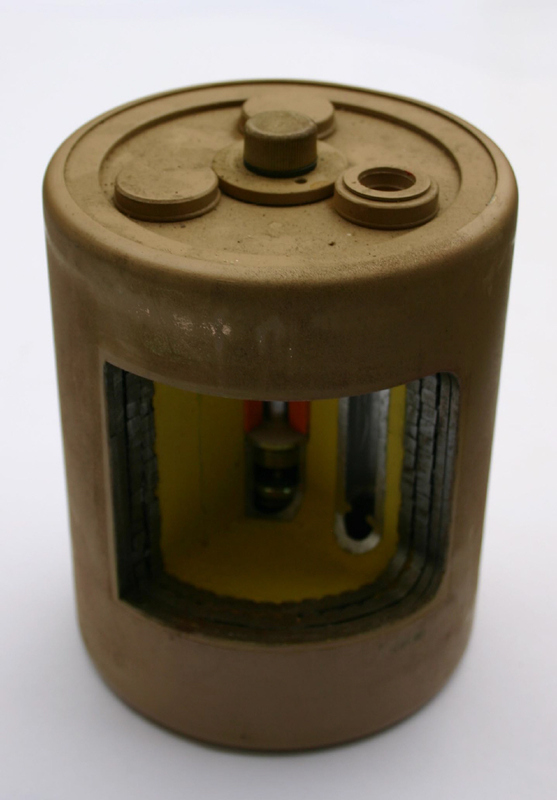 Weight: 4.5kilo including 560gram TNT.